Raku is a traditional style of Japanese pottery, especially bowls created for traditional tea ceremonies. The word itself translates as "comfort" or "ease." Here in the Western World, raku-style firing is different than the kiln firing processes that were passed down through families in Japan. Basically, by placing the red-hot fired piece in an aluminum container that allows carbon dioxide to pass through a small hole, you create a reduction chamber. 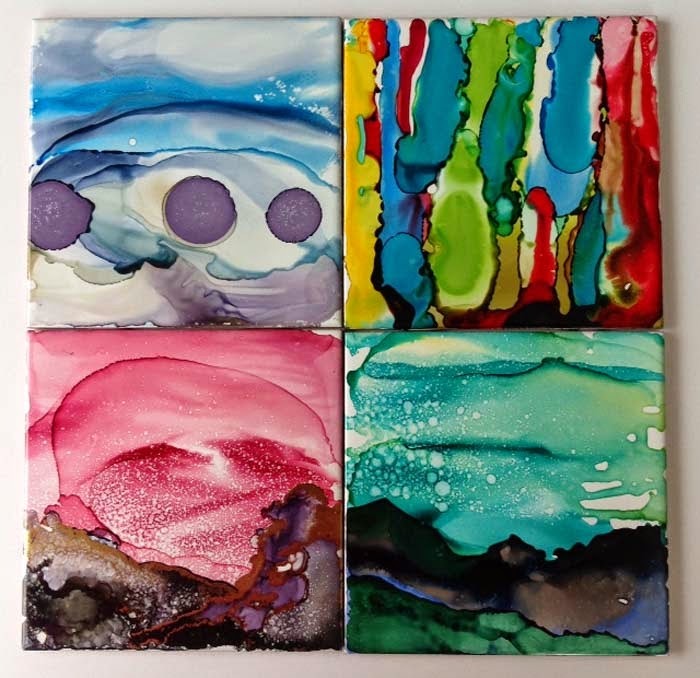 This induces a reaction between oxygen and the clay minerals and metal elements of the glaze. By closing the container, after combustible materials in the can such as sawdust or paper, catch fire, the reaction pulls oxygen from the glazes and clay. Luster is created in the glaze because it's been deprived of oxygen. The matte black colour of raku pottery is achieved on pieces with no glaze, as the oxygen is pulled from the clay minerals. "It is raku’s unpredictable results and intense color that attract modern potters. These patterns and color result from the harsh cooling process and the amount of oxygen that is allowed to reach the pottery. Depending on what effect the artist wants, the pottery is either instantly cooled in water, cooled slowly in the open air, or placed in a barrel filled with combustible material, such as newspaper, covered, and allowed to smoke. Water immediately cools the pottery, stopping the chemical reactions of the glaze and fixing the colors. The combustible material results in smoke, which stains the unglazed portions of the pottery black. The amount of oxygen that is allowed during the firing and cooling process affects the resulting color of the glaze and the amount of crackle. "Unlike traditional Japanese raku, which is mainly hand built bowls of modest design, western raku tends to be vibrant in color, and comes in many shapes and sizes. Western raku can be anything from an elegant vase, to an eccentric abstract sculpture. Although some do hand build, most western potters use throwing wheels while creating their raku piece. Western culture has even created a new sub branch of raku called horse hair raku. These pieces are often white with squiggly black lines and smoke-like smudges. These effects are created by placing horse hair, feathers, or even sugar on the pottery as it is removed from the kiln and still extremely hot." 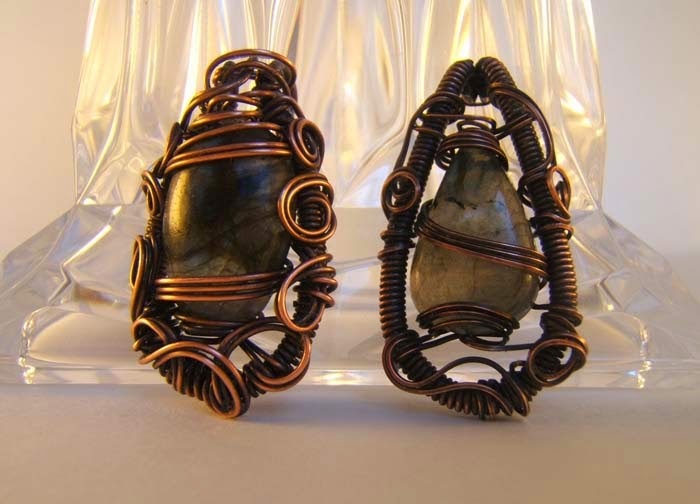 Ganoksin.com has a great overview on raku in jewllery-making. 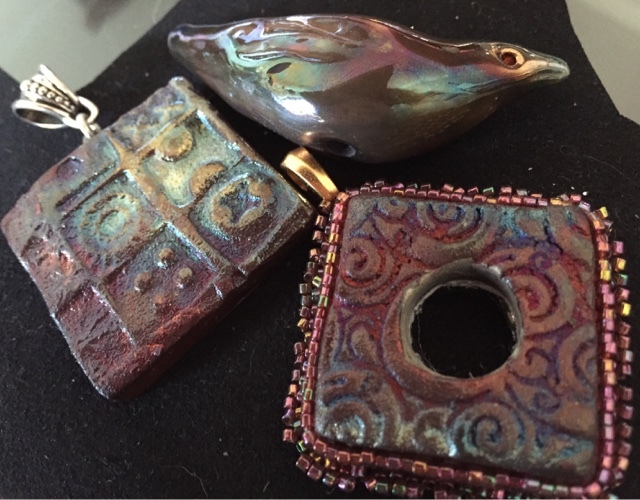 There are a growing number of artists creating raku pieces for jewellers to use as components in their work. One of the best-known is Marianne Kasparian. She has an etsy shop, where you can check out her work. 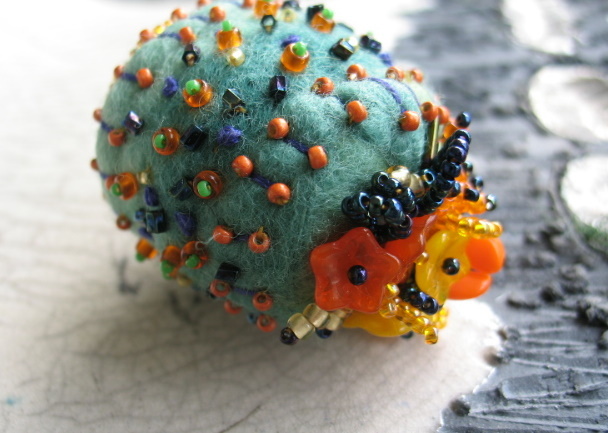 I suspect you'll recognize her signature hearts right away, since bead artists such as Sherry Serafini. 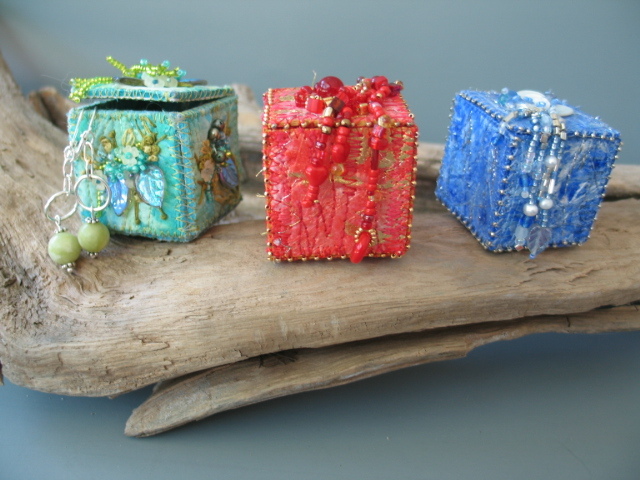 This picture shows some of her small pieces that I've bead embroidered. Duane Collins has an etsy page as well and I adore his small components, graceful birds, and squares in matte and luster finishes. I love the squares with holes for bead embroidered pendants but you can also just put a bail on the back of some pieces or string the bird on leather cord or chain. 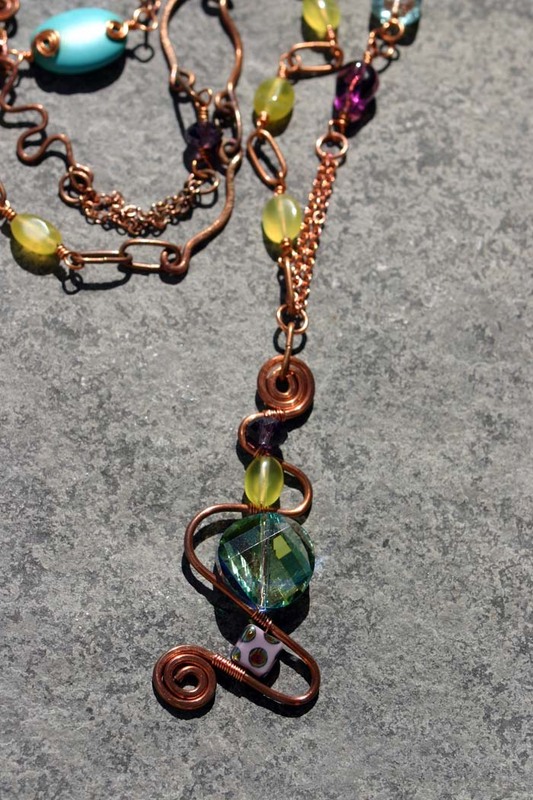 Odd Designs sells at Bead and Button and has an interesting take on pendants to add into your jewellery creations. 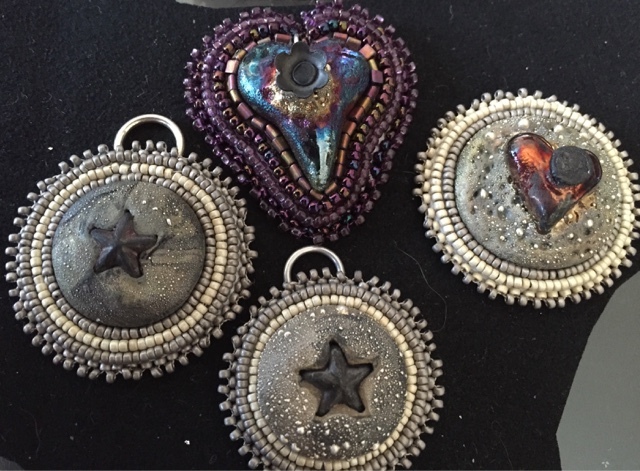 Urban Raku, another Bead and Button vendor, blings their raku pieces up with crystals. 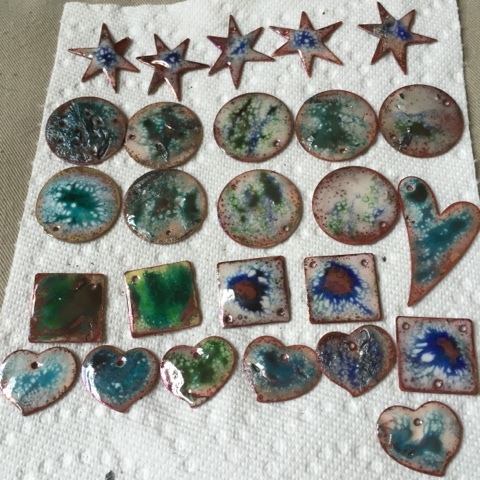 Recently, I've been raku firing on copper using enamels. Basically I fire the piece until it's red hot then put it in an aluminum can and smother the burning paper. The unpredictability of the firing outcomes makes every piece an adventure. If you've used raku in your work recently, or know of other raku artists we should be watching, please comment below. Let's keep the conversation going. functions. Or your birthday. Or just because. 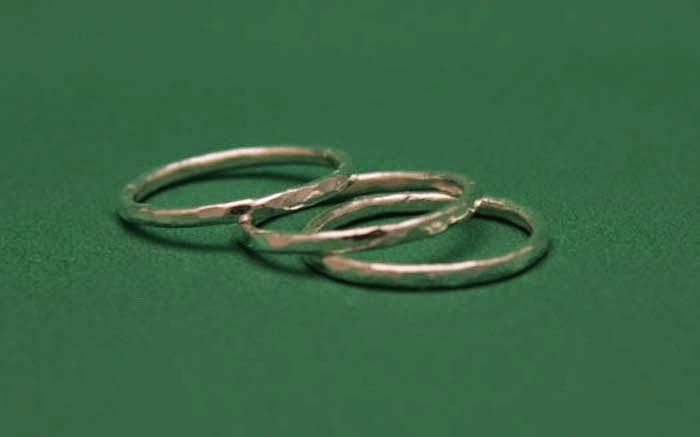 Wondering about the one-step looping pliers? This is Rochelle's favourite tool! Watch how to use it in this video! You're in luck - the sale continues! The holidays approach fast now, and if you haven't gotten it in gear - you're shaving it mighty fine, my friend. If you are already on a roll - you are probably running out of stuff - so here's your chance to take a quick minute and restock! Some items ARE excluded from this sale. Some metal clay items, some big tools, and previously discounted items, and a few other items that are priced so low - they are already wholesale! You will be able to see online if an item is discounted. Remember - you always get the best possible discount - so if something has been discounted more than the sale discount - you will get the better discount! Things tend to get a little-bit crazy around here during a sale, so we have a few rules to make it go more smoothly. If you are placing a phone or fax order, please ensure that you have the sku/product numbers ready, as well as the description. Same goes for email orders - as we'd prefer to not have our order picking staff have too many nervous breakdowns. It's always painful to find them hiding in the studio, surrounded by empty Ben n Jerry buckets and clutching a sticky teddy bear. We do anticipate that shipping will most likely be delayed by a day or two from our usual timeframe. So click on a link and go crazy! Don't forget our inspirations - 100s of free projects - and classes - if you are stuck for ideas! We have oodles of classes - including some fun 1-hour mini-classes to get you going! Play and the art of gift giving! Where has the year gone? Yikes, it's that time again! Time to start thinking about what you're going to do about holiday gift giving. Yes, I'm aware that some of you, have been preparing for this for months, but I'd like to think that you're in the minority. The vast majority (myself included), need the cooler temperatures, to get our collective rears in gear! The thermostat has dropped (and late this year, at that), so it's time to make some fast plans. As a dedicated crafter (now billing myself as a Mixed Media Artist), I've been making handmade gifts for years. 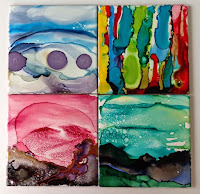 I started with sewing related items (stuffed animals, pincushions, clothing, cushions, placemats and napkins), then quilting and applique (including framed landscapes), and now paper, beads and all sorts of mixed media projects. 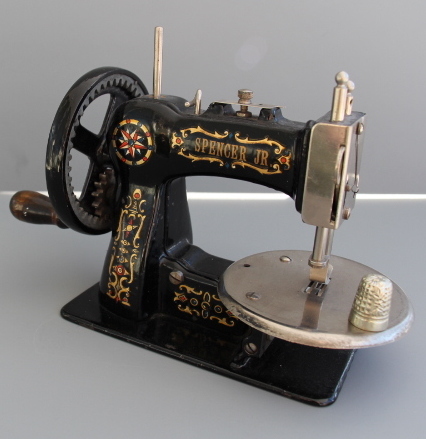 I'll begin with a photo of my Mother's toy sewing machine. 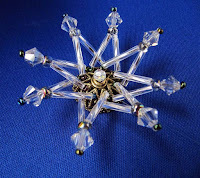 Nope, nothing to do with beading, and not being gifted to anyone, but as photos of most of the earlier items are nonexistent; I thought that I would give you a little peek into my crafting history. The thimble was my maternal Grandmother's, and although small in size, is really quite beautiful! Now back to gifts! 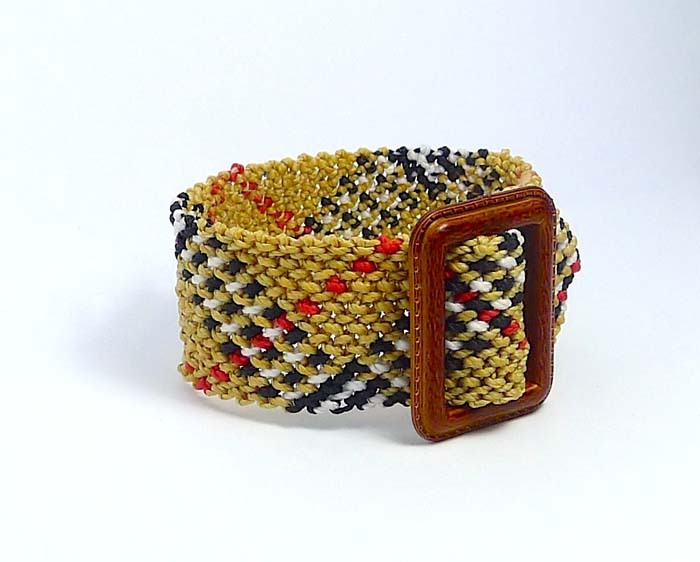 Are handmade gifts more economical? Can you really afford the time? Will they be appreciated? Are you stuck for ideas? I guess the answers to these questions are very personal, and something that you will need to answer for yourself. However this type of gift, does give you an opportunity to show someone that you care. It doesn't need to be expensive, not everyone will appreciate it (just don't continue to give to those people), but there's a big sale on at BeadFX (25% off, almost everything in the store - runs until December 2nd), the books and magazines are chock full of ideas, and you might even have time to squeeze in a workshop or two (check out the class calendar, on the BeadFX website). You know, you want to!!! As for ideas, I have a million playful ones (because you know that you love making stuff)! 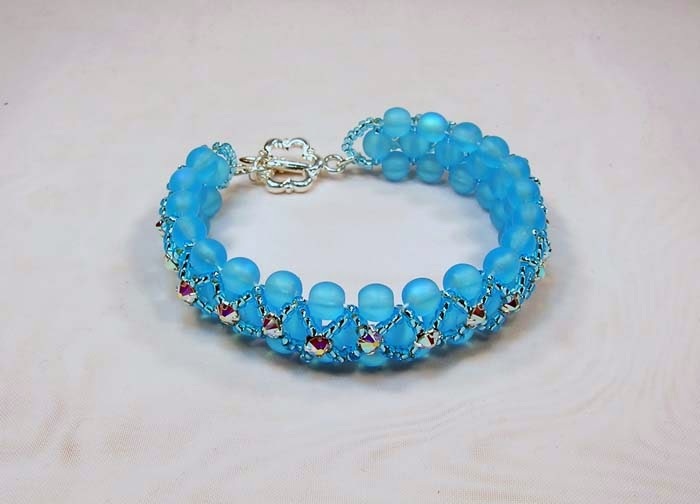 Here are just a few: beaded &/or bead embroidered necklaces, bracelets, earrings, pendants, brooches, bezels, rings, ornaments, key rings, eyeglass holders/chains, pincushions, needle books, boxes and perhaps a little doll! 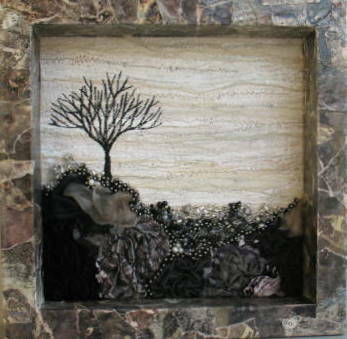 A simple quilt block, collage, embroidery or landscape would look great framed, but don't forget to add beads, for an extra dash of pizzazz! 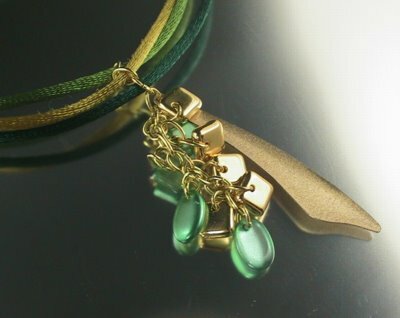 Metal, polymer and metal clays present many options, as do Crystal Clay, Apoxie Sculpt and Ice Resin. 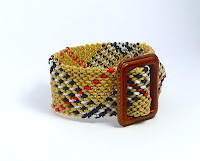 How about making stitched and beaded covers for cell phones, tablets, eReaders and even handmade books? All this fun, is almost too much to stand!! If you're anything like me, you'll probably be making gifts right up until the last minute. By the way, no current holiday gifts have been exposed in this blog post, so don't start wondering, if one of them could be yours! LOL!! December classes: Creativity isn't finished yet! 13 September 1894 – 14 August 1984; an English author, novelist, playwright, scriptwriter, social commentator,and broadcaster whose career straddled the 20th Century. Yes, 2015 is starting to wrap-up but there are still many opportunities to express yourself creatively and learn a new skill at the same time. Looking for a fun evening? 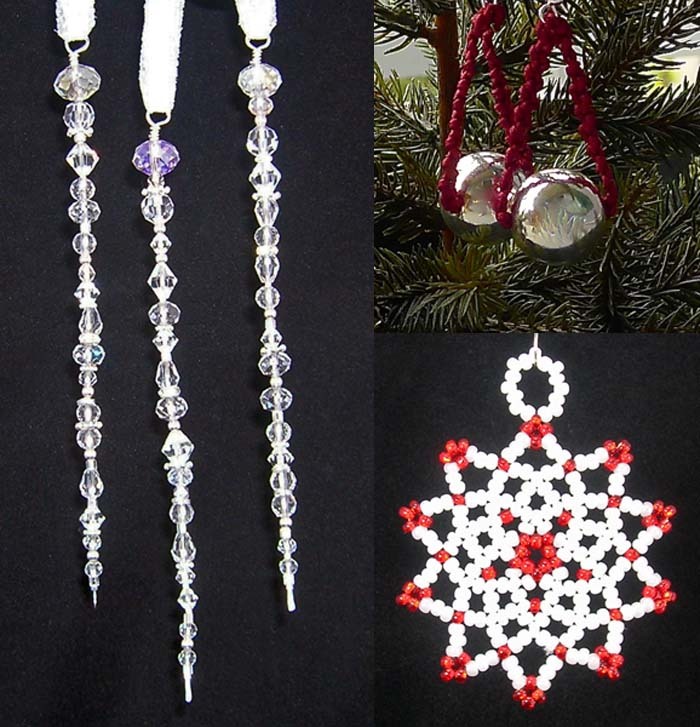 Join Angela Peace, Pamela Kearns and Anne Marie Desaulniers for three holiday-inspired classes in three hours at our Holiday Class Bash! Maria Rypan is sharing a new brooch project before it is published in an upcoming issue of A Needle Pulling Thread. 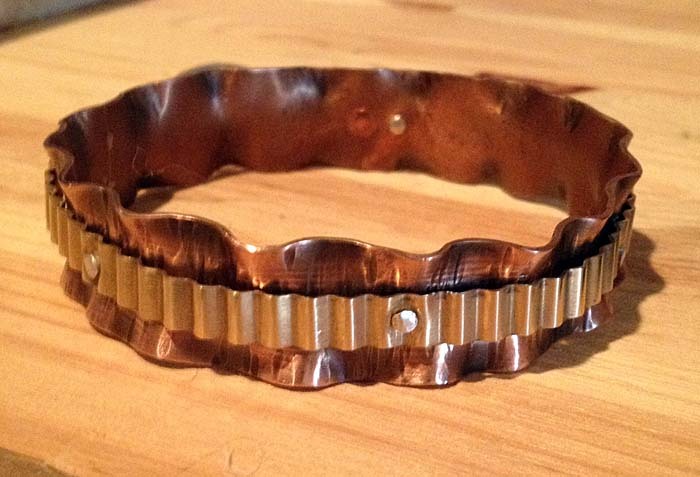 Iris Rogers Melamed is introducing a new ruffled bangle. 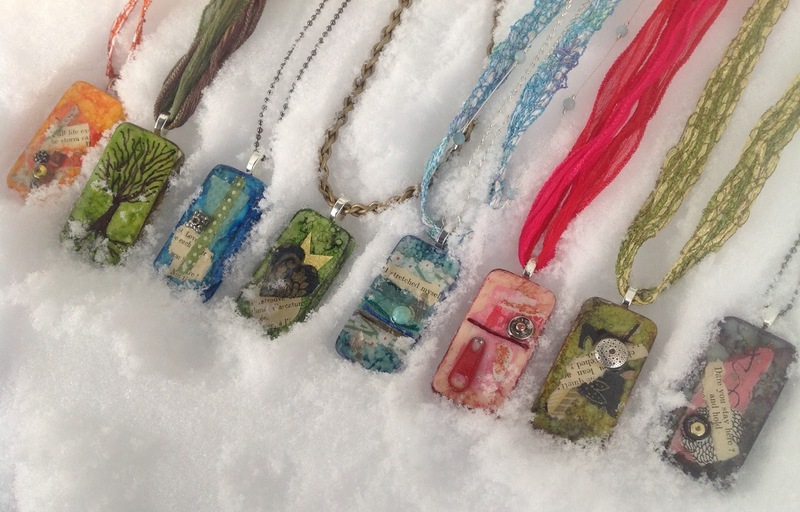 You can also finish up your last-minute mixed media gifts at Anne Marie Desaulnier's Mixed Media Evening. Of course there are encore classes being offered - all perfect for last minute gifts. Complete information about each class, including course descriptions and fees, can be found on our website. 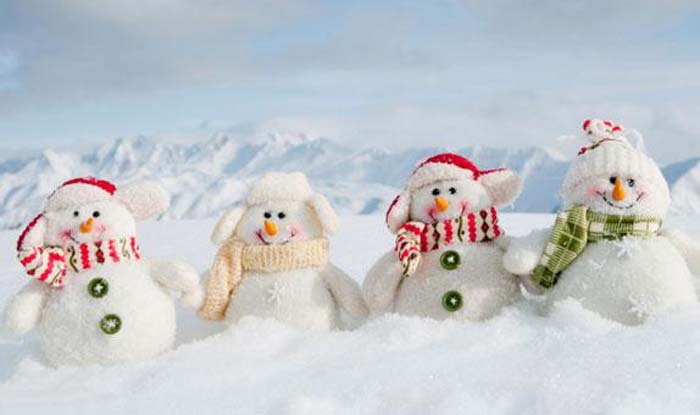 Click on 'Classes' and follow the links to the December calendar. The Business Chat - Wear your customer hat! Are you ready for a shot of colour? We must remember to never forget! 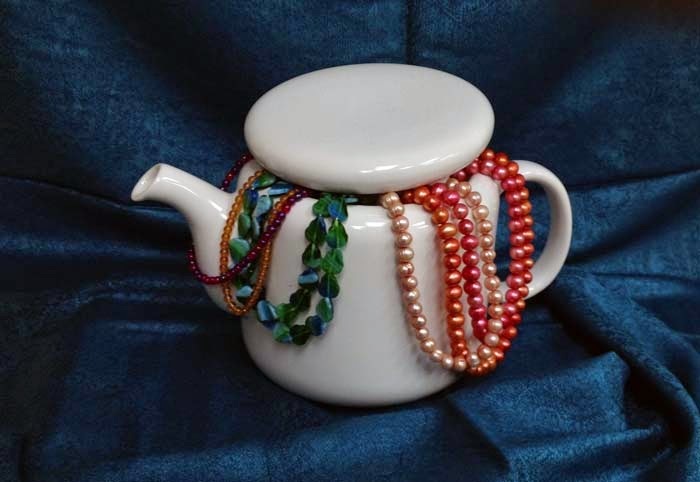 What do you do with a pile of beads? Part One Part Two Mix Add and Alchemy!